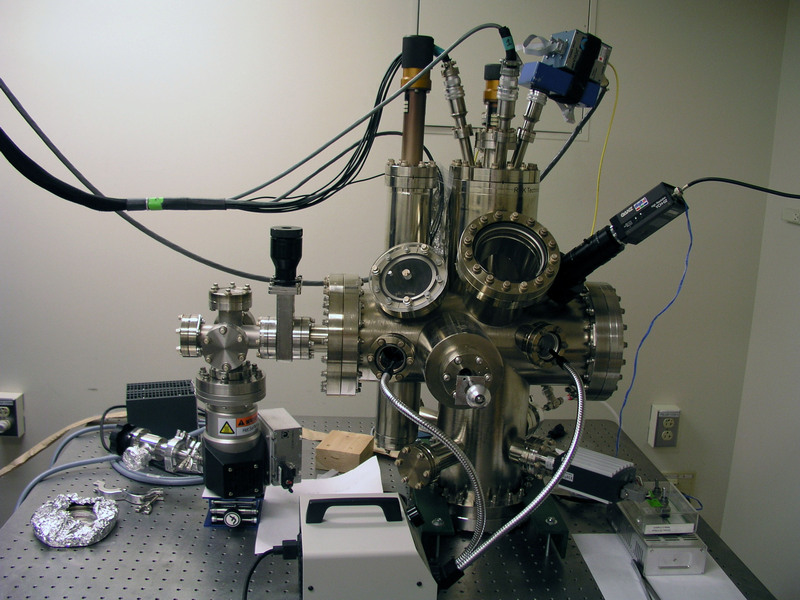 RHK UHV750 AFM/STM system attached to a surface science apparatus for in-situ characterization of surfaces. 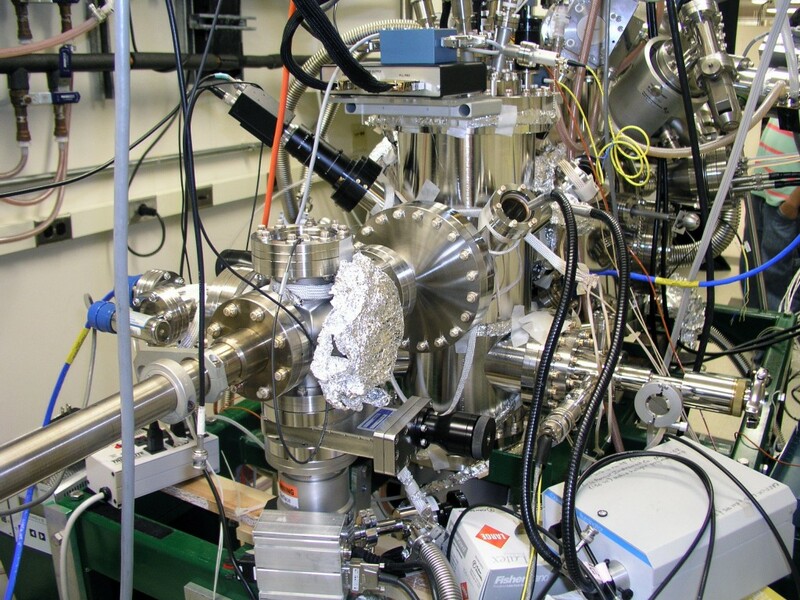 Can perform in both contact and non-contact AFM mode under UHV with our RHK SPM100 and PLLPro control electronics. 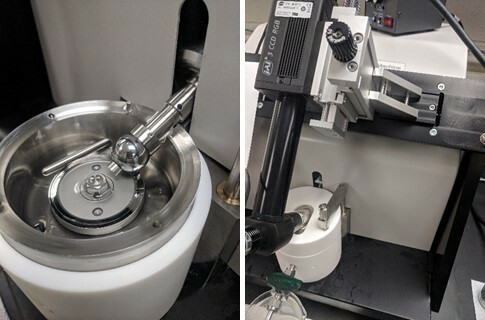 Variable temperature stage allows for cooling to 30 K or heating to 1300 K. Mechanical noise is reduced using an with eddy current damping of the sample stage. The AFM head has also been adapted for thermal AFM probe use. Surface science apparatus attached to a RHK UHV750 AFM/STM system for in-situcharacterization of surfaces. Has XPS, Auger, and LEED capabilities. 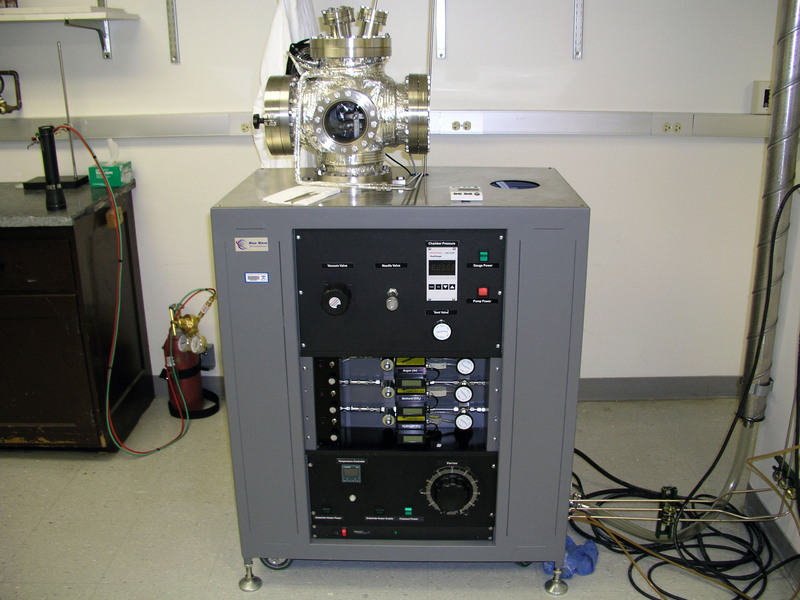 Differentially pumped analyzer column allows for high pressure (100 mTorr) measurement. 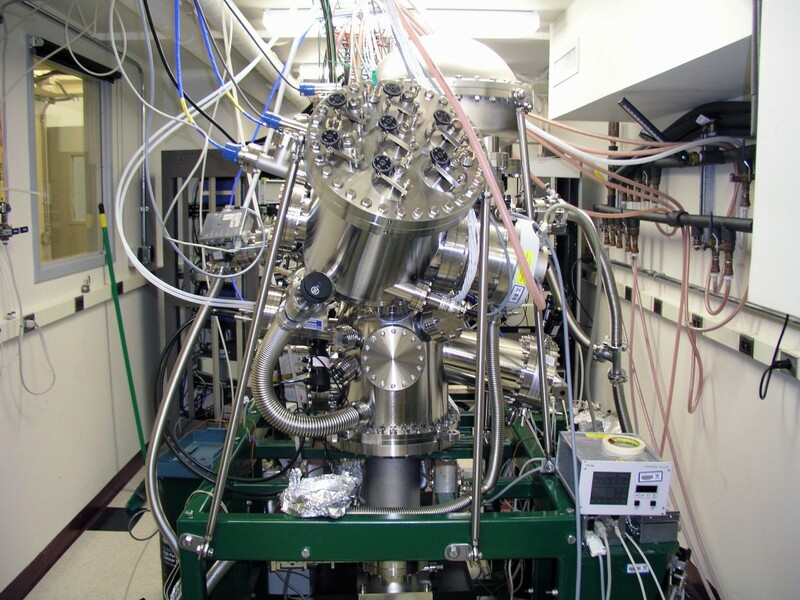 Temperature range between 100 K and 1000 K. Monochromated x-ray source for high resolution spectroscopy. Includes ion gun for charge compensation. RHK 350 Environmental AFM/STM system. Vacuum capability down to ~10-6torr. Liquid nitrogen cooled to 100 K, heating stage up to 1300 K. High resolution allows imaging of atomic lattice spacing over 5×5 um scan sizes. A scanning white light interferometer with sub-micron lateral resolution and single nanometer height resolution. 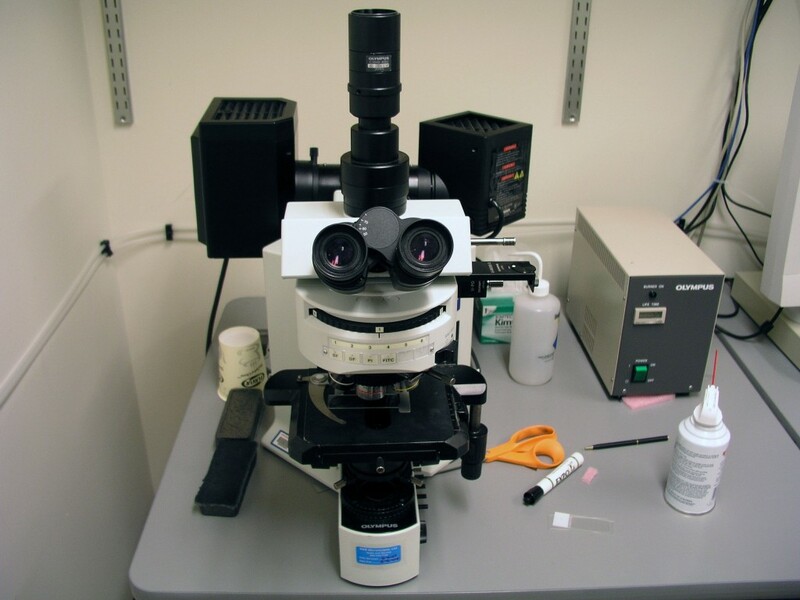 Fast scanning allows for ~500 x 700 micron images to be taken in seconds. Includes 2.5x, 20x, and 50x external objectives as well as 0.5x, 1.0x, and 2.0x internal multipliers. The system also includes a green light source and function generator (+/- 10V) for use with the Dynamic Microelectromechanical Systems (DMEMS) option. This allows users to capture the time varying response of devices during steady state response. An amplifier (+/- 100V) is also included for devices requiring larger voltages. Hot filament chemical vapor deposition. Uses methane and hydrogen source gas and tungsten filaments. Capable of growing materials like nanocrystalline diamond, amorphous carbon, and carbon nanotubes. Cyclops 100 pyrometer used to measure both the filament and sample temperature. Optional programmable heating stage allows for substrate temperatures up to 800 C with thermocouple. Olympus BX51 optical microscope. 5x, 10x, 20x, 50x, and 100x objective lenses. Bright field, dark field, and differential imaging modes. Illumination in both transmission and reflection modes. Optional xenon lamp for fluorescence studies. PCS Instruments mini traction machine (MTM) for macro-scale tribological testing under dry conditions or with a lubricant. Independently rotating ball and disc for a range of slide-to-roll ratios (SRR’s). Generates traction curves (SRR range: 0% to 200%) and Stribeck curves (ball/disc speed range: 0 to 4,000 mm/s). Contact loads up to 75 N, and temperature control up to 150 C. The sliding track can be monitored (e.g. for tribofilm growth) throughout testing via optical interferometry with the spacer layer imaging (SLIM) attachment. 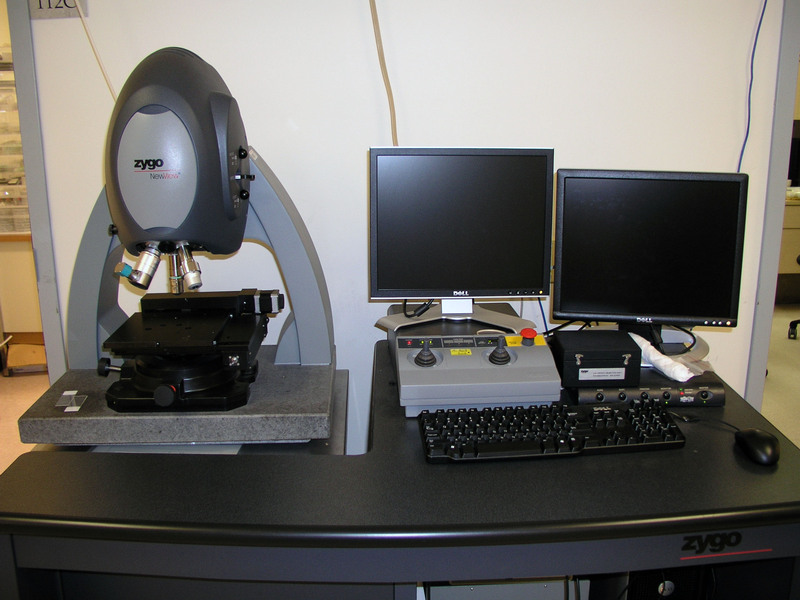 Also capable of measuring soft specimens with o-ring and sample plate adaptors.